You can do anything for 30 days, right? I’ve talked a lot lately about how I eat, but not too much about what I do. I thought I’d share some of my favorite 30 Day fitness challenges with you. They’re easy and fun to do, and if you notice that one works particularly well for you, do it again! How do you commit to a 30 Day Fitness Challenge? I found this great article that gives tips about committing to a 30 day fitness challenge. It mentioned things like finding a buddy, writing down your start date, and more! 22. 30 Day Challenge that makes you feel like a badass! What’s your favorite 31 Day Fitness Challenge? 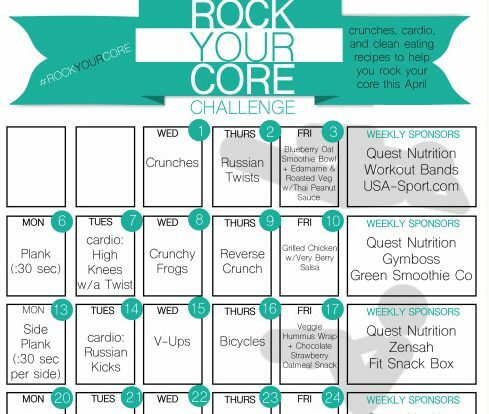 Looking for more 30 day and fitness challenges? Wow, thank you so much for sharing my fitness challenge post! I see a couple of 30 challenge I want to try. They had started bAck in April or whenever. Need to do the challenge. These are self-paced challenges–you can start any of them at any time!